It has long been a mystery what happened to 650,000 bitcoins and millions in fiat when MtGox declared bankruptcy in February. It has long been a mystery what happened to 650,000 bitcoins and millions in fiat when MtGox declared bankruptcy in February. What creditors weren’t expecting was a déjà vu when it came to the court-supervised liquidation of whatever assets remain. CryptocoinsNews reports that of the approximately $30 million worth of assets which existed at the time of collapse, only $7 million remain. Newly released court documents are cited. It is not entirely known what these funds were used for- with a couple of exceptions. Creditors have been receiving fancy postcards reiterating already publicly available knowledge from the MtGox website. It is estimated that this alone has cost $100,000. More worrisome though is a partially redacted court document appearing to show MtGox getting charged $200,000 by its parent company, Tibanne, for services rendered. 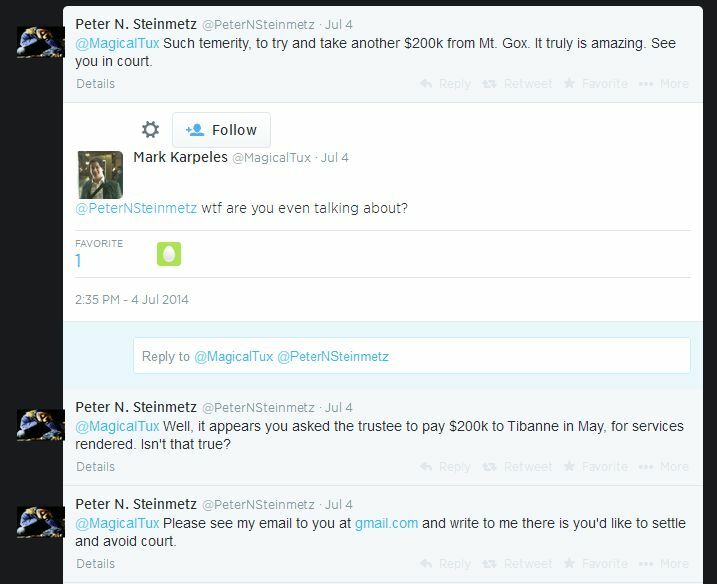 Recall that Mark Karpeles owned 88% of MtGox and 100% of Tibanne. The nature of these services, who approved them and the reason for the document’s redaction are unknown. It has been suggested that the sum is to settle a contract between Tibanne and a third party for services no longer needed. The appointed trustee, Nobuaki Kobayashi, has not responded to requests for comment. In general, Kobayashi has not corresponded with individual creditors, instead issuing updated through the MtGox website. Angry creditors have confronted the resurrected Karpeles on Twitter, though he didn’t have much information to offer. Creditors are concerned that they’ll get back far less than expected as the prolonged proceedings burn through whatever assets remain. Perhaps they will get more answers at the upcoming creditors meeting in Tokyo, scheduled for July 23. The meeting’s objective, according to the postcards, is to report on the status of MtGox property. It has been suggested that Karpeles may even be present at the meeting, with some recommending that he hire security.